Presidents Day is celebrated the third Monday in February. Contrary to popular advertising, Presidents Day is not a day for big sales. The holiday commemorates the lives to two great American Commanders-in-Chief (one of the titles of the President of the United States): George Washingtonand Abraham Lincoln. The day connects the birthday of Abraham Lincoln on Feb.12 and the birth of George Washington Feb. 22. Teaching a unit U.S. presidents or looking for Presidents Day activities? Here are free printable Presidents Day worksheets, lesson plans, crafts, games and coloring pages. Apples for the Teacher provides printables on both presidents, Abraham Lincoln and George Washington, and on the Presidents Day holiday itself. There are biographical facts sheets and activities. There are free printable worksheets with cloze, fill in the blank, writing prompts, vocabulary, time lines, word games, biographical data, coloring pages and alphabetizing activities. Worksheets include general American history lessons and patriotic crafts and activities. There's a recommended reading list for homework, followup reports and book reports. 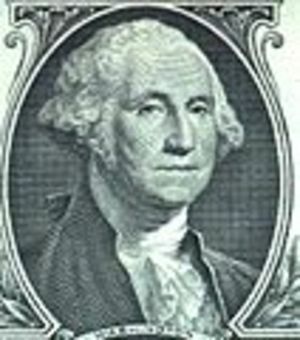 To celebrate the holiday in homeschool or public school, Mr Donn has created free printable Presidents Day worksheets, Powerpoint lesson plans, games, word searches, writing prompts, social studies connections and interactive history activities. Many activities link to others sites like Scholastic where you'll find even more extensions and connections. For teachers and homeschoolers, there are worksheets on George Washington and Abraham Lincoln, holiday Powerpoints and free clipart. Visit Scholastic printables home for lesson plans and worksheets. Then stop by the Freebies Corner. Each month there are new contests, giveways, and free printable holiday activities themed to the month. You'll get lesson plans with content connections, games, crafts and book-themed worksheets, keyed to Presidents Day or any holiday. A to Z Teachers Stuff has several pages of free printable worksheets, puzzles and word games for Presidents Day. There are crafts, art projects and coloring pages of presidential silhouettes and busts on coins and bills. Kids can color pictures of Abraham Lincoln and George Washington. You could use these to have students carve their own Mt. Rushmore models. Hit Enchanted Learning for Presidents Day printables, too. The Presidents Day holiday was originally celebrated as Washington's Birthday. The amalgam with Lincoln was added in 1968, but called Washington's Birthday until the 1980s. Teachers may remember the transition to the more inclusive general name. The office of U.S. president is also referred to as POTUS, for short.